The sale runs like this: 3-one year magazine subscriptions for $12, 5 for $18 or 10 for $30. All of which include free shipping and digital access where available. Even with the first option at $4 per mag, this is within cents of the best deals of the year. However, at $3 per magazine in the larger bundle, this is easily the rock-bottom lowest prices we have ever seen on the aforementioned titles. 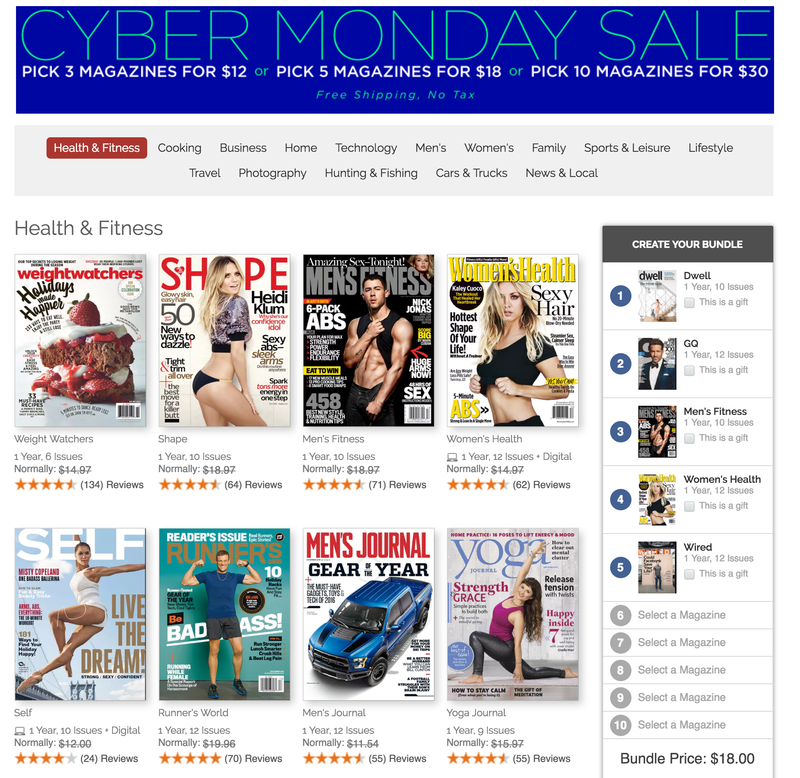 And you can also choose to lock-in each mag for up to 2 years at the all-time lowest price of the year in the cart. This is the best time of year to renew subscription or grab those mags you have had your eye for a while. Perfect for the coffee table and as inexpensive gifts for techies, foodies and more, every title in your cart can be sent to a different address with a personalized gift note. Everything ships free, there is no sales tax, and Discount Mags will never auto renew on you. We also spotted a one-year subscription to Sports Illustrated for $5 over on Amazon (Reg. $26, best price, not available in the DiscountMags sale).